Draw your design on a cardboard. 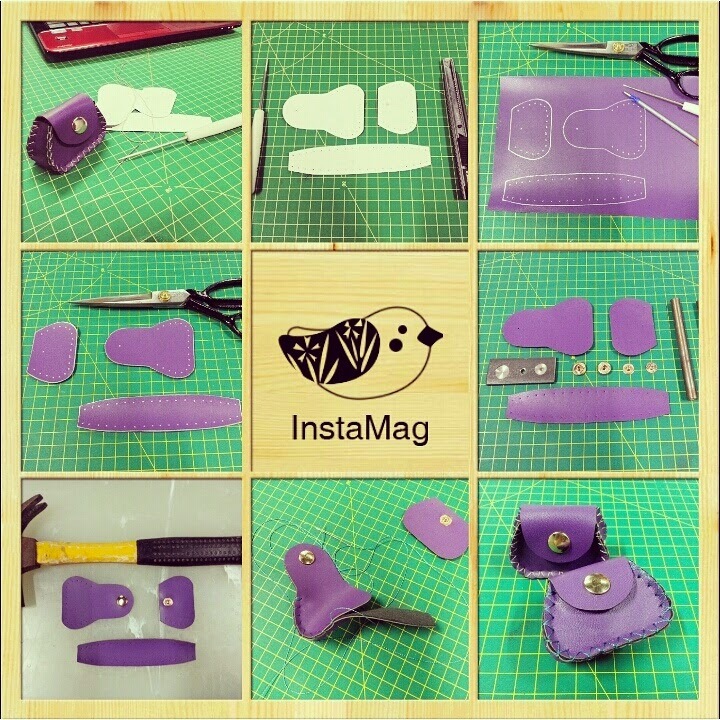 Trace cut out part onto Pu leather skin. Cut the PU leather skin accordingly & punch the sewing holes. 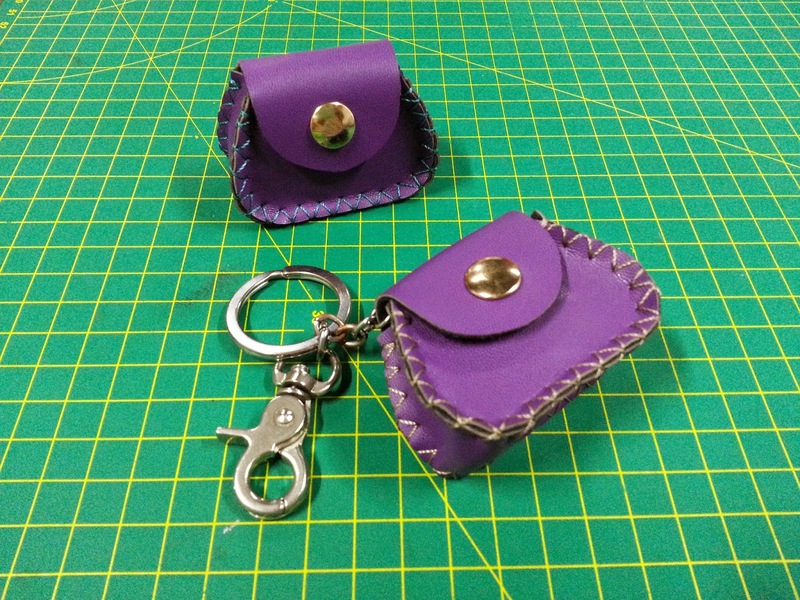 You also can add on some accessories or key-chain to make it BETTER.